On August 1st, General Motors, LLC filed three federal trademarks applications in Class 009 for "[c]omputer software for the autonomous driving of motor vehicles." The company filed all three applications on an intent-to-use basis, meaning the company is probably not using these marks in commerce just yet (but has a bona fide intention to do so sometime in the near future). The applications are for the C-design seen to the right, the CRUISE-design seen below, and the phrase JOIN THE DRIVERLESS REVOLUTION. 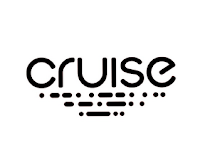 Back in April 2016, GM filed another trademark application for the word CRUISE as it relates to the same software services in Class 009. In June 2016, the company filed an application for SUPER CRUISE in Class 009 for "[c]omputer software, cameras, ultrasonic sensors, global positioning system and radar object detectors for semi-autonomous driving of motor vehicles[.]" These applications come after GM announced in March that it purchased Cruise Automatic, a San Francisco start-up that develops self-driving technology. 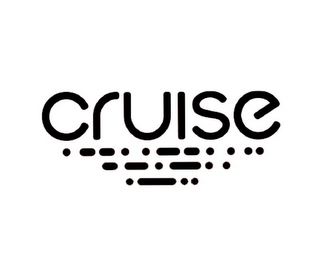 Is CRUISE the name of GM's self-driving program? Keep track of these trademark applications to find out.